Facts: Client was traveling on Alabama Interstate 65. Client came up behind an Alabama State Trooper. The trooper pulled client over for traveling 70mph in a 55mph zone. Client was written a citation for speeding. Client has had problems with the speedometer in the vehicle. Result: Case DISMISSED upon negotiations by Kreps Law Firm Traffic Attorney and prosecutors and payment of court costs. Facts: Client was pulled over for traveling 90mph in a 55mph zone. Officer gave client a citation for reasonable and prudent speed due to the high rate of speed that the client was traveling. Result: Case DISMISSED upon Motions filed by Kreps Law Firm Traffic Attorney and prosecutors. 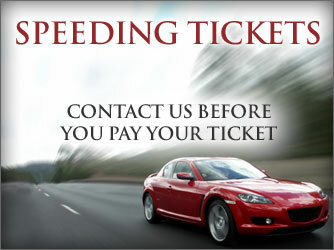 Facts: Client was pulled over and written a citation for traveling 92mph in a 65mph zone. Result: Case DISMISSED upon Motions filed and negotiations by Kreps Law Firm Traffic Attorney and prosecutors.